Let´s get ready to rumble! 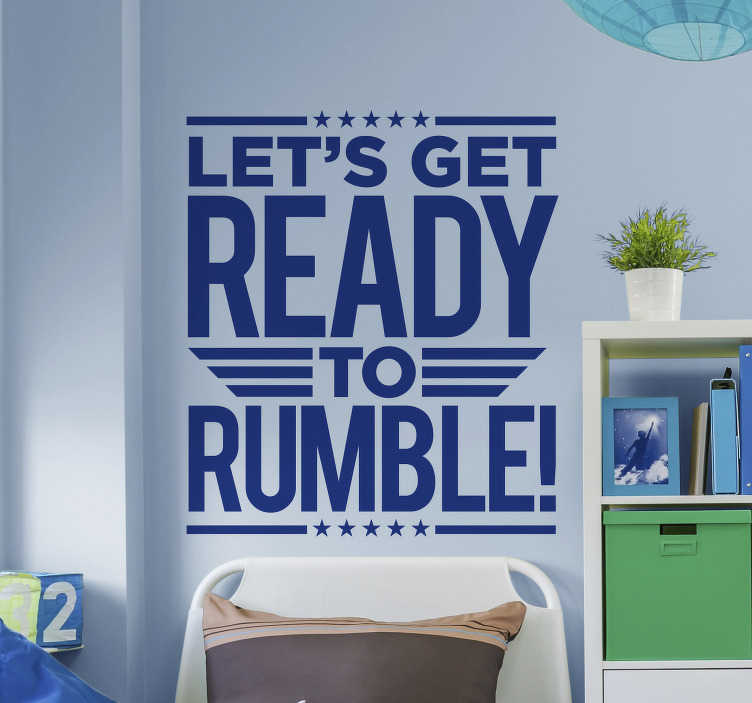 A fantastic wall text sticker, depicting one of the most famous phrases in sports history - Michael Buffer´s iconic ´let´s get ready to rumble´. First coined in the 1980´s, the phrase has gone on to become a trademark of Buffer and something repeated across the world! That is why this sports sticker would look great anywhere in your home! Choose your size, choose your colour and buy now!